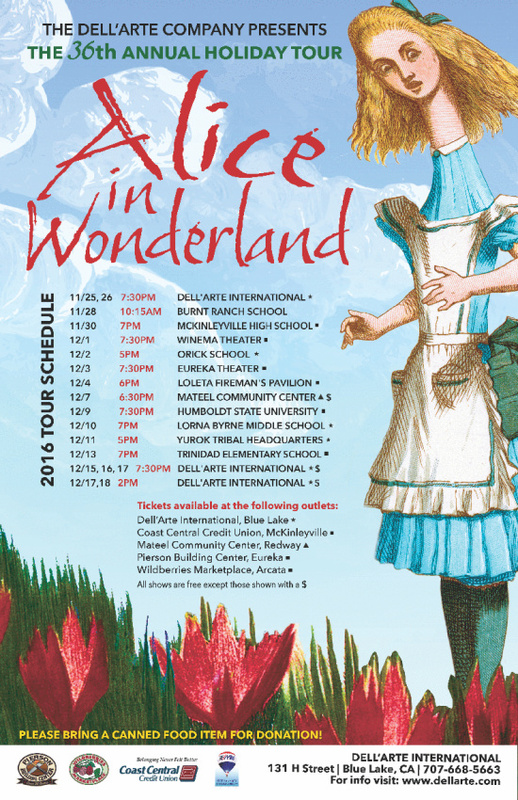 The 36th Annual Holiday Tour Alice In Wonderland kicks off this evening at the Carlo Theatre at Dell'Arte then runs at various venues in the area through December 18th. Jenny Lamb who portrays Alice took a moment to discuss the show with me after dress rehearsal on Wednesday evening. The performances are free of charge thanks to their generous sponsors. For more information head to dellarte.com.